Let's say you've set up a drip course that will keep your course sections locked for a certain period of time, but a few customers need immediate access to some of your sections. Not to worry; you now have the keys to unlock any and all course sections! Let's walk through the process! In your Dashboard, select Customers. You'll want to search and select your specific customer that needs full or limited access. Once you're in their customer profile, scroll down a bit until you see "[Customer's] Products". 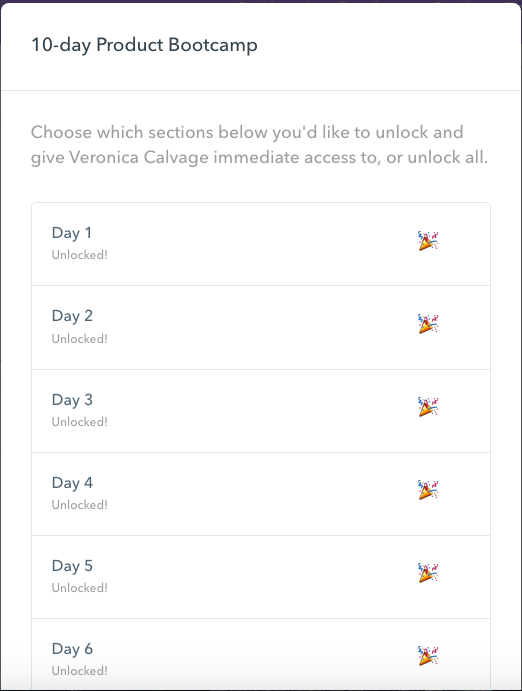 You should now see the option to unlock all or individual sections. Questions? Email [email protected] (or just click the purple Chat icon at the bottom right of your screen), and help will be on the way).